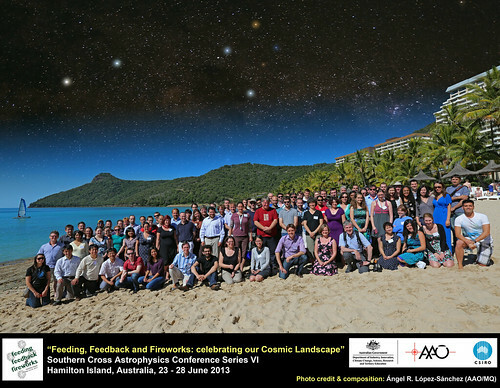 During this week (23 – 28 June 2013), I’m participating in the international astrophysics conference “Feeding, Feedback, and Fireworks: Celebrating Our Cosmic Landscape”, which is hosted in the tropical paradise of Hamilton Island, one of the most important islands of the Whitsundays (Queensland, Australia). 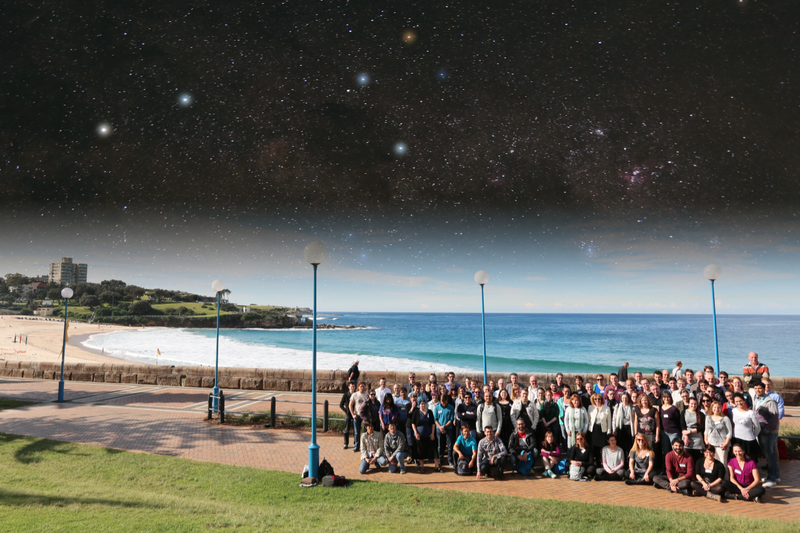 The conference is jointly supported by the Australian Astronomical Observatory (AAO) and the CSIRO Astronomy and Space Science (CASS) and it is the 6th of the Southern Cross Conference Series. 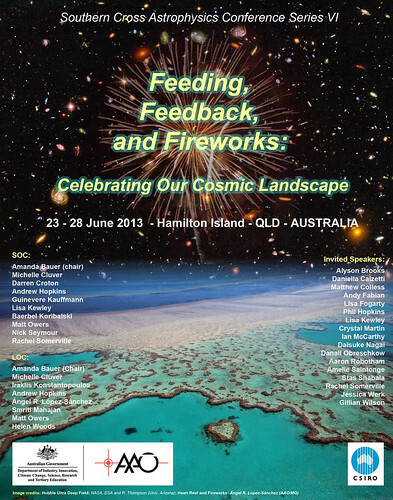 Poster of the “Feeding, Feedback, and Fireworks: Celebrating Our Cosmic Landscape”, jointly supported by the Australian Astronomical Observatory (AAO) and the CSIRO Astronomy and Space Science (CASS), being the 6th of the Southern Cross Conference Series. 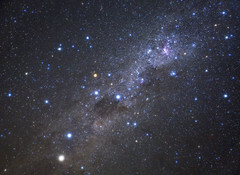 The Heart Reef near Hamilton Island appears in the foreground, while the Hubble Ultra-Deep Field image is the background image. 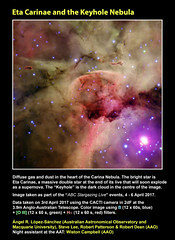 Credit: Heart Reef Photo and Fireworks: Ángel R. López-Sánchez (Australian Astronomical Observatory / Macquarie University); Hubble Ultra-Deep Field: NASA, ESA and R. Thompson (Univ. Arizona). 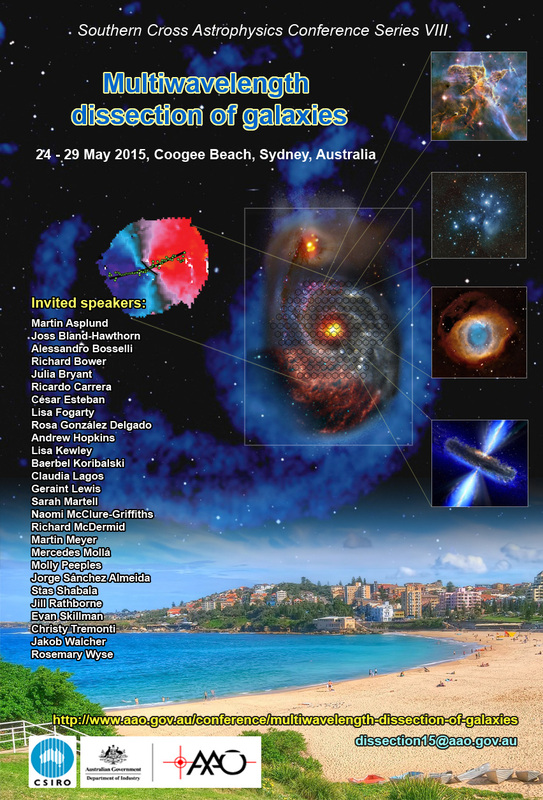 It has been a very intense and fruitful conference, with almost 100 participants (the majority coming from Australia, but many others from America, Europe, Asia and Africa), and we are discussing hot topics about how the diffuse gas is moved inside the galaxies (Feeding), how stars form in galaxies (Fireworks) and how these newborn stars alter the properties of their host galaxies and their surroundings (Feedback). We are also investigating the role of the Active Galactic Nuclei (AGN) in galaxy evolution: how are they triggered (Feeding) and how they affect their host galaxies and even the galaxy cluster their host galaxies reside (Feedback). 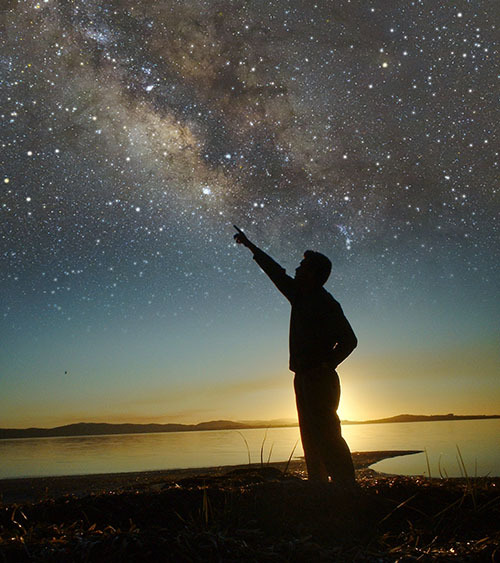 All in the context of the cosmological evolution of the Universe, constraining theoretical models using observations, and trying to put all the pieces together to understand the evolution of the galaxies. In my case I presented part of my multi-wavelength work in Blue Compact Dwarf Galaxies, which are small galaxies (smaller than 1/100 times the size and mass of the Milky Way) which are experiencing a very intense star-formation event. 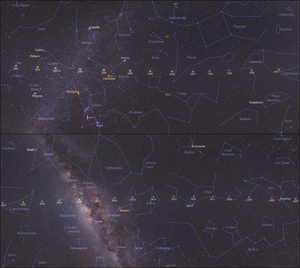 Hence, it seems all the dwarf galaxy is a giant nebula! I’ll describe these interesting objects in a future post. Conference Photo of the “Feeding, Feedback, and Fireworks: Celebrating Our Cosmic Landscape” conference. 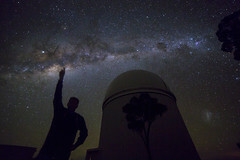 Photo Credit and composition: Ángel R. López-Sánchez (Australian Astronomical Observatory / Macquarie University). The talks and more information about this exciting conference will be posted in the conference webpage soon.